We all think eating fruits means just buying fruits, cutting and just popping them into our mouths. It is not as easy as you think. It is important to know how and when to eat. It means not eating fruits after your meals. 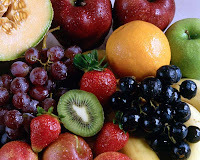 Fruits should be eaten on an empty stomach. If you eat fruit like that, it will play a major role to detoxify your system, supplying you with a great deal of energy for weight loss and other life activities. In the meantime, the whole meal rots and ferments and turns to acid. The minute the fruit comes into contact with the food in the stomach and digestive juices, the entire mass of food begins to spoil. So eat fruits on an empty stomach or before your meals. You have heard people complaining, "every time I eat watermelon I burp", "when I eat durian my stomach bloats up", "when I eat banana I feel like running to the toilet". Actually, all these will not arise if you eat the fruit on an empty stomach. The fruit mixes with the putrefying of other food and produce gas; hence, the bloating effect. According to Dr. Herbert Shelton, there is no such a thing as some fruits, like orange and lemon are acidic, because all fruits become alkaline in our body. If you have mastered the correct way of eating fruits, you have the secret of beauty, longevity, health, energy, happiness and normal weight. When you need to drink fruit juice, drink only fresh fruit juice, not from the cans. Don't even drink that has been heated up. Don't eat cooked fruits because you don't get the nutrients at all. You only get to taste. Cooking destroys all the vitamins. Eating a whole fruit is better than drinking the juice. If you should drink the juice, drink it mouthful by mouthful slowly, because you must let it mix with your saliva before swallowing it. You can go on a 3-day fruit fast to cleanse your body. Just eat fruits and drink fruit juice throughout the 3 days and you will be surprised when your friends tell you how radiant you look. Kiwi: Tiny but mighty. This is a good source of potassium, magnesium, vitamin E and fiber. Its Vit. 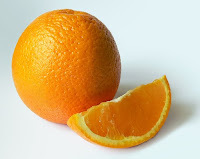 C content is twice that of an orange. Apple: An apple a day keeps the doctor away? 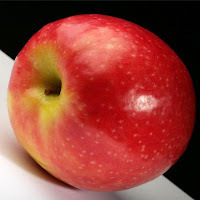 Although an apple has a low Vit. 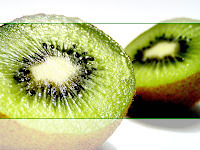 C content, it has antioxidants and flavanoids which enhances the activity of Vit. C thereby helping to lower the risks of colon cancer, heart attack and stroke. Strawberry: Protective fruit. Strawberries have the highest total antioxidant power among major fruits and protect body from cancer-causing, blood vessel-clogging free radicals. Orange: Sweetest medicine. Taking 2-4 oranges a day may help keep colds away, lower cholesterol, prevent and dissolve kidney stones as well as lessens the risk of colon cancer. Watermelon: Coolest thirst quencher. Composed of 92% water, it is also packed with a giant dose of glutathione, which helps boost our immune system. They are also a key source of lycopene, the cancer fighting oxidant. Other nutrients found in watermelon are Vit. C and Potassium. Guava and Papaya: Top awards for Vit. C. They are the clear winners for their high Vit. C content. Guava is also rich in fiber, which helps prevent constipation. Papaya is rich in carotene; this is good for your eyes. 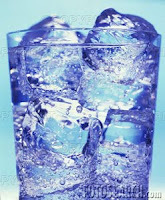 Drinking cold water after a meal will put at risk of cancer. Can you believe this? For those who like to drink cold water, this information is for you. It is nice to have a cup of cold drink after a meal. However, the cold water will solidify the oily stuff that you have just consumed. It will slow down the digestion. Once this "sludge" reacts with the acid, it will break down and be absorbed by the intestine faster than the solid food. It will line the intestine. Very soon, this will turn into fats and lead to cancer. It is best to drink hot soup or warm water after a meal. Share this helpful information with your loved ones. You so read my thoughts on how to eat fruits and when. So many of us neglect to inform ourselves on just why we eat certain foods. Very informative indeed. There are new information that invalidates previous held beliefs. Thanks for sharing them with your readers. God bless you always.